Creating content day in and day out is exhausting. Constantly coming up with creative ideas and pushing yourself to come up with things you’ve never thought of is incredibly hard. But luckily, TopRank Marketing’s Executive Content Chef, Ashley Zeckman, was in the kitchen to help us cook up strategies for content creation at Digital Summit Minneapolis. To help set the stage for her session, Ashley asked: who is fried on content marketing? To no one’s surprise, nearly every marketer in the room raised their hands. But even when faced with this problem, content teams still focus too much on brand over audience, care about quality over quantity, and are scared to take risks and fail. So how can brands and marketing teams rise to the challenge and create and distribute content that is different than anything else out there? Ashley provides three preparations tips and five content ingredients that will help you do just that. Before you create content, you need to discover as much as you possibly can about your audience. You need to know what you’re cooking with! Find out who influences them, what they like to read, where they like to read it, and what type of pieces their reading. Are they reading infographics or eBooks? What captures their attention? To help you discover some of this information, Ashley swears by the tool Answer the Public to find out what readers want to know and how they search for it. Before embarking on any life-changing content missions, you need to document your content strategy and goals. Don’t just talk about it–write it down! This includes defining your audience, the message you want to deliver to that audience, and the intended outcome for your audience. Here, Ashley reminds us that content engagement levels, on average, are super low at only 37 seconds per blog post or article (NewsCred Insights). She points out that if you’re audience isn’t engaged, they don’t care, so stop creating content that your audience may or may not read. Instead, create valuable pieces that will have an impact. Creating influencer content helps you establish trust with your audiences, scale your content to greater heights, and reach new audiences by tapping the right person at the right time. Plus, pairing content with influencer marketing is a great combination, as 80% of marketers rate content marketing as the most impacted by influencer marketing (TopRank Marketing, Traackr, and Altimeter Group). To drive the point home, Ashley shared how a client eBook with an influencer-written forward directly generated $1.5 million in new revenue alone. People spend so much time on their mobile devices, video is a great way to halt scrolling thumbs and grab attention. Video formats also enable marketers and brands to tell more emotional, thought provoking stories, increasing the amount of time people spend with your content. When applied in the real-world, a short video created to amplify one client campaign, drove a 2,000% increase in views. Ashley doesn’t want you to be intimidated by video, though. It might be hard without a full team, but as long as you have solid content behind your video you can at the very least create a compelling film on your iPhone. According to Ashley, surveys and research help you to discover audience needs you didn’t know existed, build authority on a specific topic, and uncover new marketing opportunities. The best way to conduct your research? Email. 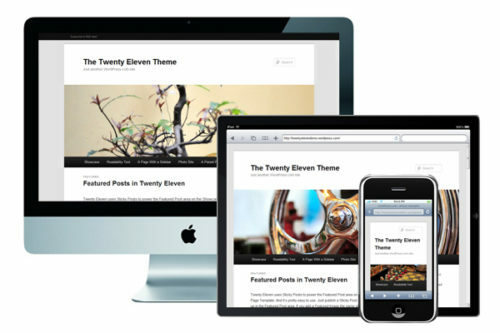 Forty-two percent is the average survey response rate in emails (FluidSurveys). With one industry survey on influencer marketing, TopRank Marketing had a 30% conversion rate, over 2,000 research report downloads, and generated over 1,000 new contacts. With repurposed content, Ashley believes you can tailor, diversify, and reduce the production time of your content in one fell swoop. Working off of a top performing piece of content, you can segment it for different verticals and create a series of posts that will be put in front of more people. Content repurposing isn’t new, 29% of leading marketers systematically repurpose content (Curata). In her session, Ashley shared how one series of interviews turned into five different posts. The best part? The repurposed content generated 1,000 additional social shares alone. If you’re doing something, not just absorbing it, you’ll remember it more. That’s the premise Ashley shared behind interactive content. And it cannot be ignored because interactive content receives twice the amount of conversions than static content (Kapost). Ashley recommends all marketers test interactive content based on that stat alone. 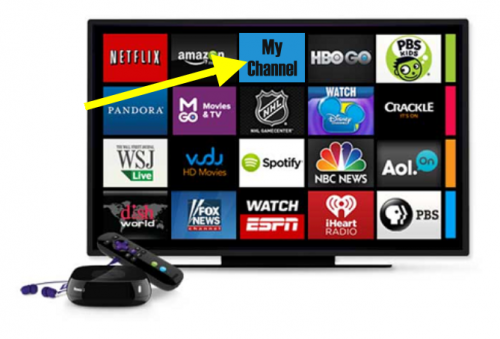 What results has Ashley seen from interactive content? An interactive quiz created with SnapApp, had a 30% completion rate and even had readers asking for more. Before giving us free reign in the kitchen, Ashley asked the most important questions of the day. What would it cost for you to be more creative in your marketing? And, more importantly, what would it cost your organization if you don’t? Sound off in the comments below on how creative content could make an impact on your audiences and your business. 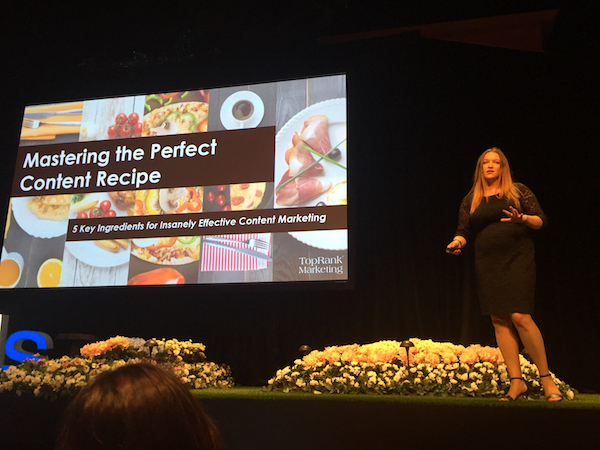 The post 5 Ingredients to Master the Perfect Content Marketing Recipe #DSMPLS appeared first on Online Marketing Blog – TopRank®.